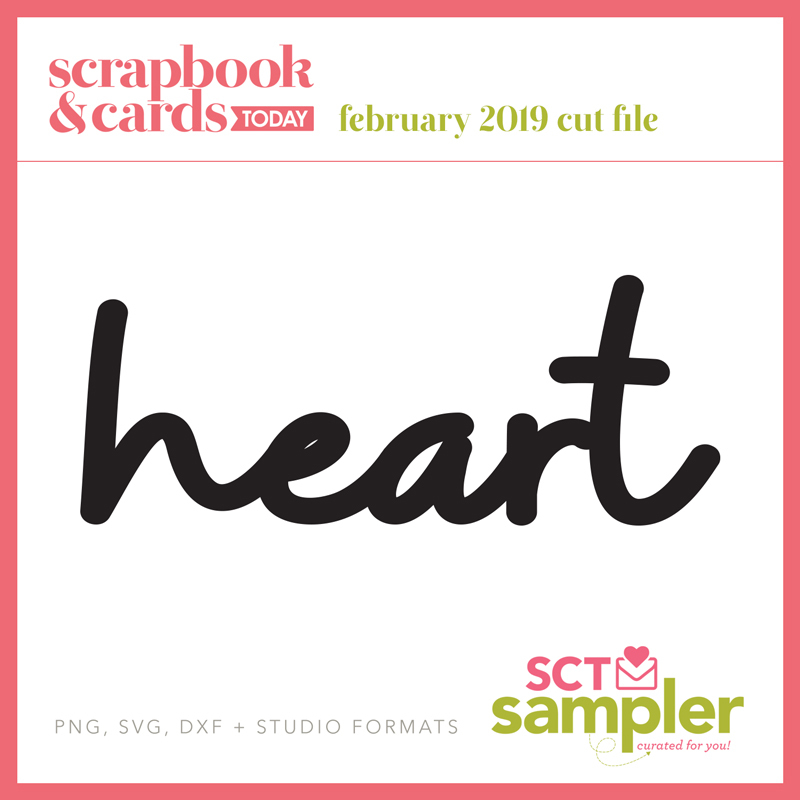 Below you will find an image of what you’ll find in your February SCT Sampler keeping in mind some products may be a little different as we share bits and pieces from the collections we’ve featured. Email it to us at ideas@scrapbookandcards.com with your full name. 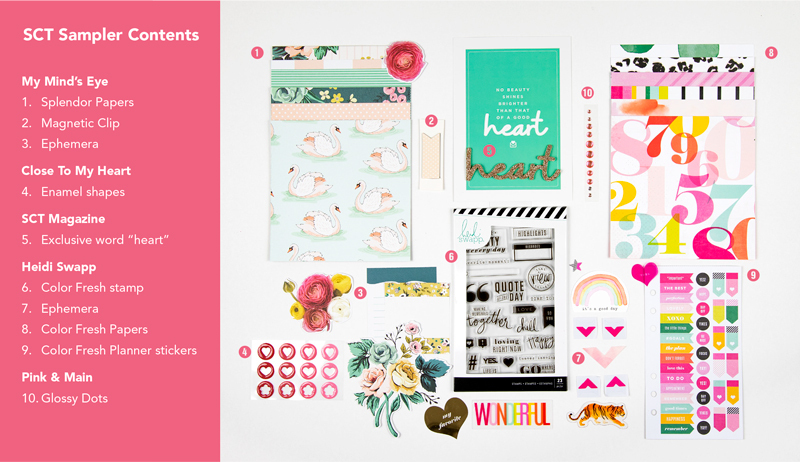 Be sure to check out the cut file for this month’s word “heart” and below are some valuable coupon codes to shop for some of your new favourite things from our friends at Scrapbook.com and Two Scrapbook Friends. Our next SCT Sampler order period is now open for an April start! Be sure to share this with your friends so they can receive “happy mail” too! We always love your thoughtful comments so please be sure to send them to me at catherine@scrapbookandcards.com. We would also love if you could take a moment to visit our friends at Heidi Swapp, My Mind’s Eye, Pink and Main and Close To My Heart to let them know how much you have enjoyed this month’s SCT Sampler. The coupon code requires you to be logged in to your Scrapbook.com account to use, and can only be used one time (per customer) during the active time frame. 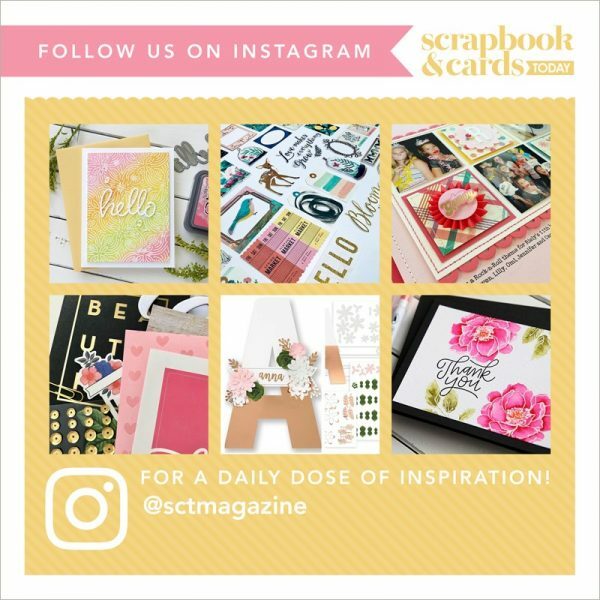 We’d love to see all the wonderful things you create with any of the SCT Sampler products, so be sure to tag us on Instagram @sctmagazine and also by using the hashtag #sctsampler. We’d also love you to share your excitement with our sponsoring partners by tagging them on Instagram too!